Veles, Macedonia and Podgorica, Montenegro were the sites of two very promising CHE Vision Seminars held by CHE EuroNet during the month of February. Three years ago the CHE EuroNet was formed of existing and new Community Health Evangelism (CHE) teams in Central Europe and the Balkans. The Vision of CHE EuroNet is to plant new teams and new CHE projects in every country of Central Europe and the Balkans by 2020. Each team pledged to engage whatever resources they had to help reach this goal. The Vision Seminar in Veles was too large for the church! 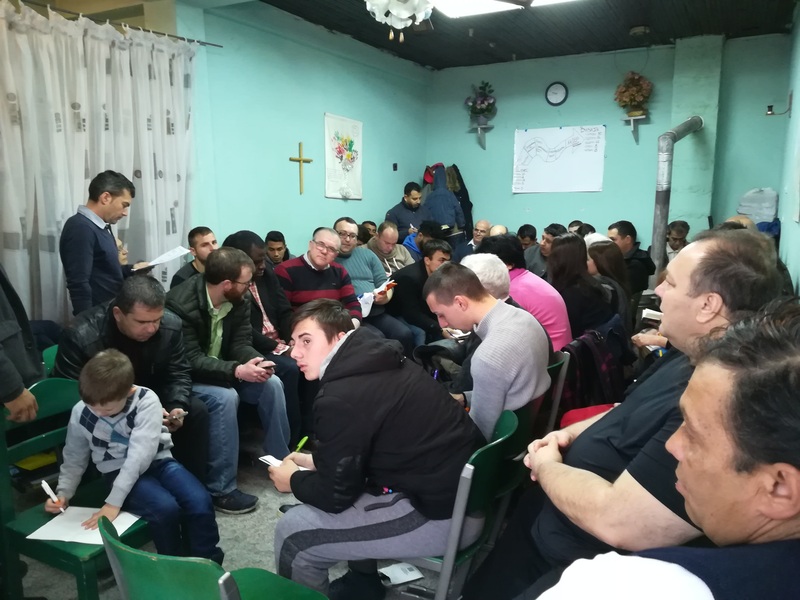 On February 10, members of the CHE Albania, MAI Albania, ZZ Serbia team, as well as CHE partner, Dr. Ture Huhtamaki of Finland, facilitated the introductory training for almost 50 church members and leaders from Macedonia. CHE Central Europe Partners provided much of the finances for this much larger-than-expected group of trainees. The Vision Seminar was scheduled to meet in Pastor Jimmy Simon’s home church, but had to move to a local restaurant because of the size of the crowd. Ture, Marijana Cizmanski, Agron Ago and Patriot Hoxhaj are now coordinating with Pastors Jimmy Simon and Sokrat Apostolos to organize the one-week conference (TOT1) for new CHE trainees in Macedonia. On February 20, Marijana and Agron met again in Podgorica, along with Dianne McNary from Slovakia. 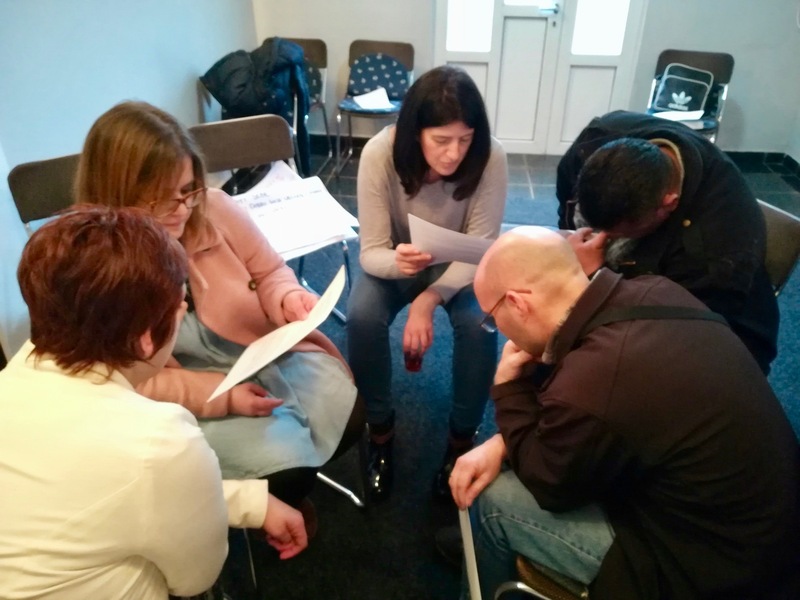 This time they facilitated the one-day Vision Seminar for 18 church leaders of Montenegro, a country with only about 250 born-again believers. The leaders here have decided to send about 5 trainees to the TOT1 in Macedonia. and for the participation of 20 to 25 church workers who have a passion to do wholistic outreach and community development as part of their strategy to reach and disciple the poor of Macedonia and Montenegro. for more Macedonians and Montenegrins to be reached with the life-liberating Good News.